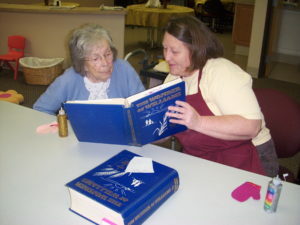 I recently wrote an article for the Newberg Graphic Insiders Column called Reminisce With Me. It offers suggestions on how to spend quality time with someone you love that lives with dementia. Some of my favorite memories with my Gram were times that we sat together and looked through photos on my iPad. Sometimes they were family photos, sometimes they were a board on Pinterest that I created just for her (anyone who knew and loved Helen knows that the board featured all things Pink!) You should check it out…lots of beautiful pictures there!! Feeling stuck trying to think of things to do with your loved one? 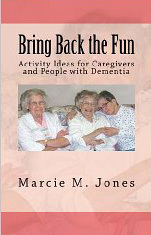 You can find more ideas in my book “Bring Back the Fun”.